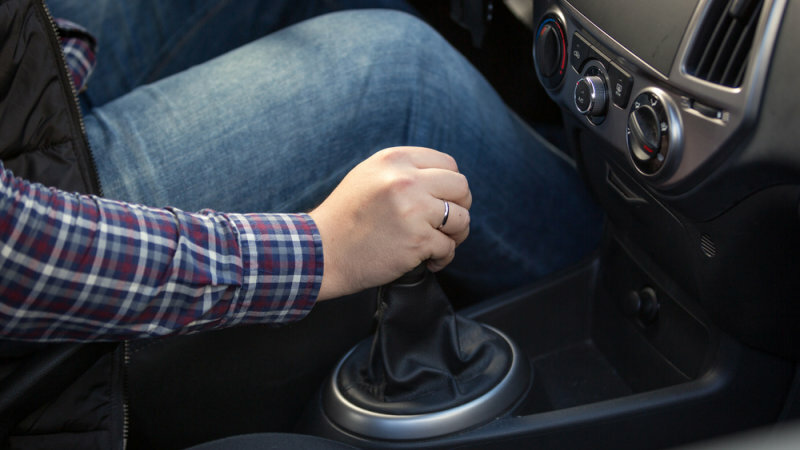 Resting Your Hand on the Shifter: Unless you’re actively changing gears, there’s no reason to touch the shifter. Resting your hand on the shifter places weight on the transmission’s bushings and synchronizers, causing internal wear. Keeping both hands on the steering wheel, and only taking one off to switch gears, is the best idea. Not Using the Parking Brake: Neglecting to use the parking brake forces the entire weight of your vehicle to rest on the parking pawl, which is one little piece of metal within the transmission. Doing this could cause the parking pawl to eventually wear out and break, making “P” on your shifter effectively useless. Use the parking brake every time – there’s really no reason not to. Hauling Unneeded Weight: You may not drive a Lotus, but the phrase “simplify, and add lightness” applies to every car. We’re not advocating stripping out sound deadening or removing the back seats, but you should clear out unneeded cargo from your car. Every pound of extra weight impacts fuel economy and handling, plus causes extra stress on suspension, brake, and drivetrain components. Give your interior and trunk a thorough clean so you’re only carrying the essentials. Only Keeping a Small Amount of Fuel in the Tank: Sometimes the cost of a full tank of gas doesn’t fit into your budget, so you only add a gallon or two at a time. Most drivers don’t know that this can lead to costly repairs further down the road. Modern fuel pumps are cooled by being submerged in fuel, so driving with only a small amount of fuel causes it to heat up and wear out more quickly. Keeping your gas tank at least a quarter full helps prevent this. Hard Starts and Stops: This one’s a no-brainer. Mashing on the gas can be fun, but uses significantly more fuel than gradually applying throttle. Sudden stops are sometimes necessary, but cause faster wear to the brake pads and rotors. Looking ahead, planning ahead, and pressing on the pedals smoothly is the best strategy. Revving the Engine When It’s Cold: It’s not a bad idea to let the engine idle for a minute or two after a cold start. This helps it warm up and gives the oil some time to circulate. However, you should resist the urge to rev the engine when it’s cold. Sure, the exhaust sounds great, but revving it when it’s cold causes abrupt temperature changes that can damage components. It also causes undue wear on parts of the engine that haven’t been lubricated by thorough oil circulation. Your engine will sound better, and rev more smoothly, once it’s had a chance to warm up. Riding the Clutch: You’re at a stop light in your manual transmission car. You’re pressing on the clutch, ready to drop it as soon as the light turns green. All that time spent waiting with the clutch in damages the pressure plate, release bearing, and release arm. Riding the clutch causes its surfaces graze against each other, wearing them down and opening the possibility for sudden failure. It’s better to be stopped with the clutch out and shifter in neutral, only pressing the clutch and engaging gear when the light turns green. Switching From Reverse to Drive Before Stopping Completely: When you’re trying to fit into a tight parking spot, it’s common to shift from reverse to drive while still slowly rolling backwards. This habit should be avoided at all costs. Doing so places strain on the drivetrain when it’s suddenly forced to move in the opposite direction. Simply take that extra moment to make sure you’re completely stopped before switching from reverse to drive. Dragging the Brakes Downhill: Driving down a steep hill can be daunting, so you rest your foot on the brake pedal to be ready to slow down at a moment’s notice. This causes strain and heat to build up in the brake system, wearing out components like brake pads and rotors. Instead, you should shift into a lower gear when you’re driving downhill. This will cause engine braking, which helps slow the car down through natural drivetrain decompression. You’ll find that engine braking can be as effective as regular braking in maintaining your downhill speed. Ignoring Warning Signs: It’s easy to ignore those little squeaks, intermittent rattles, or other unusual noises your car makes. Those sounds are warning signs that something’s wearing out or about to go wrong. Don’t wait to find out the cause of the noise, or it may make itself abundantly clear at the worst possible time. If your car is making strange sounds or giving you other warning signs, it’s important to inspect the issue right away. Bad habits can be hard to break, especially for seasoned drivers. Regardless of how much time you have behind the wheel, you care about taking care of your car and not wasting money on unneeded repairs. If you catch yourself doing any of these bad habits, thinking about the money you could save might motivate you to break them. Driving a Car with a Manual Transmission? ← Driving a Car with a Manual Transmission?